Over the course of a dynamic career as both a creative professional and college professor, BIC Professor Douglas Davis was inspired to write a book that teaches left-brain business skills to right-brain creative thinkers. Little did he realize that when he was finished, Creative Strategy and the Business of Design would become an "instant classic." Applauded by such accomplished authors as Luke Sullivan and Pete Barry, the book has received praise even before it was published in early June. As Davis states, "Remaining relevant as a creative professional takes more than creativity—you need to understand the language of business. 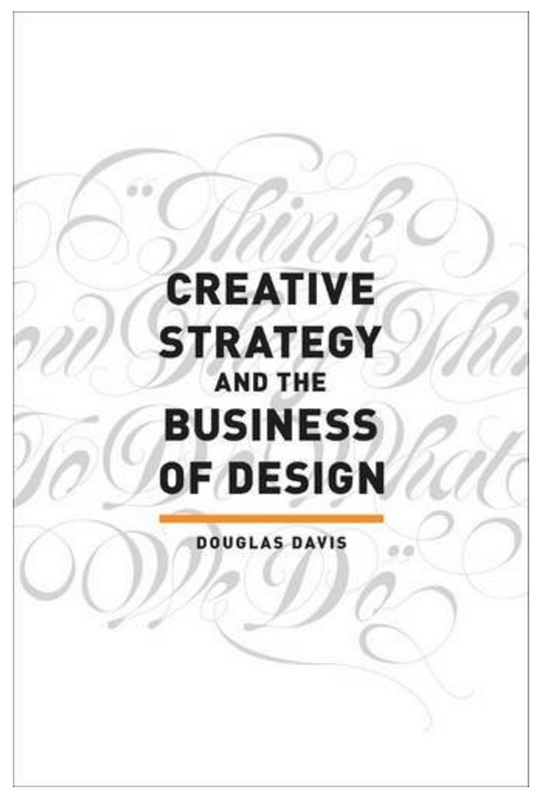 The problem is that design school doesn’t teach the strategic language that is now essential to getting your job done." Inside, you’ll read about the business objectives and marketing decisions that drive creative work with topics such as building a strategic framework to inspire visual concepts, increasing your relevance in an evolving industry, and redesigning your portfolio to showcase strategic thinking. More about Douglas Davis. Brooklyn-based Douglas Davis enjoys being one of a variety of voices needed in front of and behind the concept of a marketing plan or digital strategy. His approach to creativity combines right-brained creative problem solving with left-brained strategic thinking. In 2011, Douglas founded The Davis Group LLC and continues to offer strategic solutions to client branding, digital and design problems. In addition to client work, Douglas leverages his experience as a faculty member in the Communication Design department at New York City College of Technology, on the graduate level in the Branding and Integrated Communications (BIC) program at The City College of New York and digitally as an HOW Design university course contributor.